A visit to majestic Mikvé Israel-Emanuel (“The Hope of Israel”) should be on many bucket lists. Built in 1732 as a tropical replica of the oldest synagogue in Amsterdam built in 1670/71, its congregants’ ancestry dates back to 1651 when the first Portuguese Sephardic Jews settled on the island by way of Amsterdam — after being exiled from Spain and Portugal during the Inquisition. This first installment on our awesome ‘Snoa’ covers its founding and lends from my grandfather, Charles Gomes Casseres’, extensive research; may he rest in peace and his legacy live on forever. … until the Spanish Inquisition. By the end of the 15th century, this once vibrant Jewish community had either gone underground, as Marranos (‘New Christians’; ‘Conversos’) or into exile. Highly versatile particularly when it came to survival, the Marranos made some crucial life changes. Some crossed the border into (still tolerant) Portugal. Adapted their last names (presumably why we spell ours ‘GomeS CaSSeres’ as opposed to ‘Gomez Caceres’). They learned Portuguese. Things went well for a century. Until, once again, they had to flee when the Inquisitors set up their tribunals in Portugal. Needless to say, safe havens of refuge were hard to come by in Europe. Luckily the Spanish and Portuguese Jews were able to find refuge in religious-freedom-loving House of Orange Nassau at the turn of the 16th century, just as Protestant Holland was emerging victoriously from its Eighty Years’ War against Spain. They were able to bring their culture and religion and helped make Amsterdam the commercial and shipping center of Europe. As a testament of their chutzpah and commitment, they decided to construct a majestic Portuguese Synagogue on the Mr. Visserplein / Jonas Daniel Meijerplein, the ‘Esnoga’ or ‘Snoge’, in 1670/71 (once considered the largest synagogue in the world). 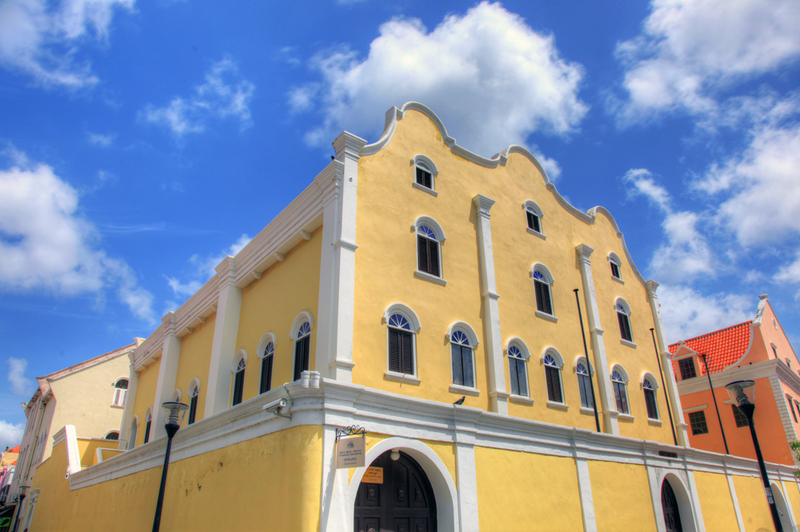 Whether they could cultivate dry land or not, the d’Yllan group set sail for Curaçao in the summer of 1651 and improvised a small Synagogue upon arrival. Maps show their Jewish Quarter comprised of a number of plantations: Blij en Heim (later Bleijenheim), Judio (Jew), Rozentak (alias Gasparito) and The Hope; we assume that they named their congregation, Mikvé Israel (The Hope of Israel) for this plantation. Source: ‘Our Beginnings’ by Charles Gomes Casseres.